Business Intelligence has never been examined with the same rigor as demanded for any other organization investments. Although global investment in Business Intelligence has reached over 6 billion dollars, business managers continue to follow tradition and leave the management of business intelligence to the technocrats. 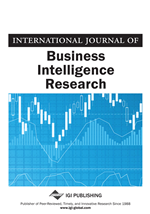 In this paper, the author proposes that a critical need exists to apply the same six sigma methods, which have worked for the rest of the organization to business intelligence operations and products. This proven structured approach, including the associated rigor and metrics, can be customized and integrated into a program which will allow effective management of business intelligence. The proposed Six Sigma program for business intelligence will ensure that an organization can gain control, improve understanding of operations and products, and improve the value of this crucial organization investment. Global Investment in Business Intelligence is over $6 Billion and growing, with Business Intelligence identified as a critical technology priority for future investment. The value of Business Intelligence to the organization is unquestioned. Business Intelligence volumes and unquestioned values translate into perhaps the most significant set of problems facing IT and business professionals today. In fact, the real truth is that we do not critically define the value of Business Intelligence. These crucial Business Intelligence assets have never been viewed and assessed in the same manner as other investments. Everyone in the industry understands that effective management demands that we clearly understand, assess, and control the value of corporate assets. However, business management has traditionally treated Information Technology as a black hole–leaving the management of IT, including business intelligence, to the technocrats. Cost Center Accounting. Accounting practices have traditionally treated information technology as cost centers. Operational and other costs are identified then allocated to the business units that receive the services. This causes an automatic schism among the various business arenas and leads to a common theme of political and other conflicts. There is almost invariably no central control point for the business intelligence investment. Who monitors the whole picture, i.e., the real return on the investment; the costs, methods, operations, final benefits? This cost center accounting treatment also ensures that investment costs are isolated from benefits assessments. IT internal procedures usually demand only a business unit sign-off that the delivered system meets the business goals as initially defined. Any determination of the realized benefits rests with the business unit manager and once the “system” is delivered, there is, most often, no time or incentive to spend more resources in clarifying “benefits.” Without an objective analysis of the return on investment, there is no effective way to make critical executive decisions. Effective Management. It is well past time to ensure that those resources are being used effectively in the creation of business intelligence products which are truly of the highest possible value for the organization. It is time to take a thoughtful look at just what are the real costs and benefits of business intelligence to the organization. For example, do we know the real value, in traditional cost/benefit terms, of the three new business intelligence applications which are being planned for next year? Do we know that our current BI resources are being used effectively? What if we could actually wring out enough resources from our current business intelligence efforts and products to pay for at least two and perhaps all three of those new BI products? To date, IT and Business Intelligence professionals have been so focused on the overpowering demand for new business intelligence products and applications, that we have not dared to ‘slow progress’ by asking some of the intelligent investment questions. Is it really OK to label benefits as intangible? Do we understand and can we clearly define the value of each business intelligence product, i.e., what are the costs and benefits? Can the quality of a business intelligence product be defined in quantitative terms? What are the real costs involved in ‘bringing the BI product to market’ and using that product on a regular basis? Can we identify, clearly describe and define the relationship of each factor which influences the quality of the business intelligence product? Have we driven down the costs of infrastructures and all the associated factors involved in creating and delivering the business intelligence products? The Six Sigma Answer. Six Sigma has been proven effective in the manufacturing world in the production of low cost, high value products. We have reached and long passed a critical point for business intelligence which demands that we treat these extremely valuable assets and products in a similar manner. This means recognizing that business intelligence products can be valued; that there are associated ‘manufacturing costs’ which can be analyzed and reduced; and that there are manufacturing processes which can be streamlined and improved.